These photos were taken at the Beachwood BBQ & Brewing 4th Anniversary celebration which was held Saturday, July 11 at the Long Beach brewpub. 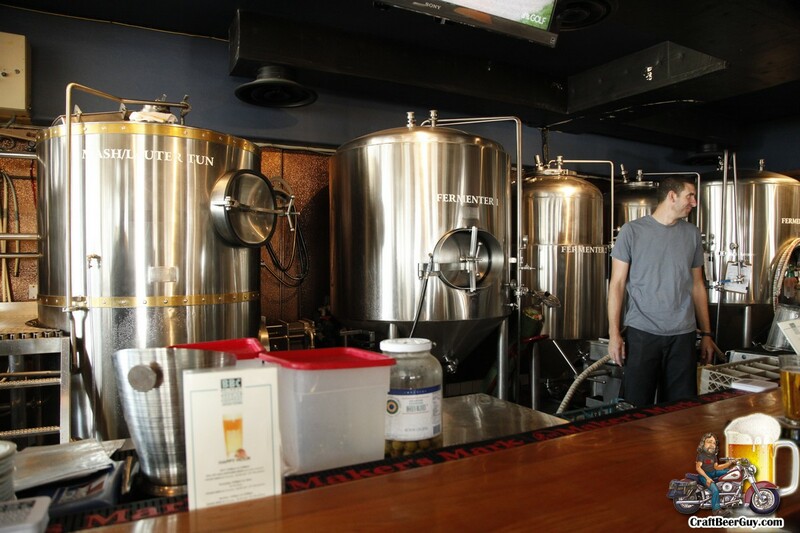 One of the best things about writing about my travels is that I am easily able to refer back to the first time I visited the Long Beach location or any of the three prior anniversary parties and easily see how much they have grown in just a few short years. I had to chuckle when I looked back and saw that they had nine beers available the first time I went there; yesterday they had over 40 on tap and even more on cask. And it is not even just about the number of beers they brew, but how well done and true to style they are. I feel really fortunate to have them so relatively close to home. On Monday morning I had some business to do in Los Alamitos; as I was finishing up around lunch time and Tanya was hungry, I asked her to get on her Smartphone to find where I should take her while I finished up. When she suggested Belmont Brewing Company, a brewpub that was 15 minutes away, I remembered that I had tried a couple of their brews at a beer festival in the past but as we had never been there before and Beachwood was closed, why not? The first thing I noticed is that parking is close to impossible. Truth be told, I could not even tell you where the best place to legally park. I guess foot and bicycle traffic is the best for them. The next thing I noticed was that this place was literally on the beach! I mean, what brewpub can afford a piece of prime real estate like a Southern California beachfront? 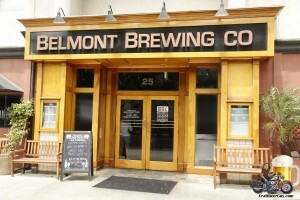 Not many that I know of; but Belmont Brewing Company has been at this location since 1990, property was a little cheaper back then. Okay, I don’t know if they own or lease, but I suspect they own the property. When Phantom Carriage first announced that they would be opening in Carson and specialize in sours, saisons and barrel-aged brews I know I was not alone in wondering if the City of Carson could sustain a brewery/blendery seeking such a niche audience. When we made our first visit there for the Media Day Soft Open Tanya was less than enthusiastic about even going because their style of brews is just not her thing but she discovered that she pretty much enjoyed everything we tried. A month later we returned to see what kind of progress had been made and discovered tweaks to the beer and food menus, as well as seemingly small adjustments to the interior lighting and longer hours. It was then that co-owner and founder Martin Svab informed me that the Phantom Carriage grand opening is “now until early March.” Well, it is now early March and Phantom Carriage has officially had their Grand Opening which was held on Saturday.